The Light of Dark definitely stands out from the crowd. Indeed, it is a curiosity, in a field of its own. Describing its genre will tell you that right away. It's an Amish romance sci-fi dystopia conspiracy thriller. Just read that back again and let that sink in. Religion plays a large part in the storytelling too - which some will take as a recommendation, others a dissuasion, but good to know before you go in either way. 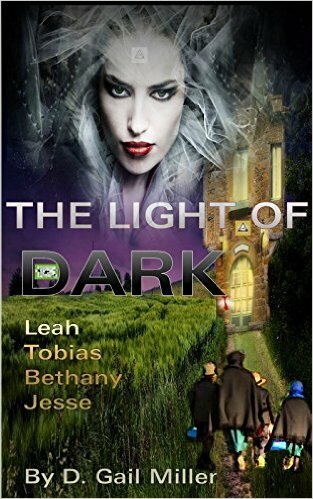 The story is told in four different sections - titled for the characters from whose perspective it is told from: Leah, Tobias, Bethany, Jesse. Leah is a young Amish woman and mother who seemingly (spoiler alert) ends up killing herself. The others are her children, left behind with that truth, behind which lurks a revelation of something far more mysterious, far more dangerous. Quickly, a pattern is established in the format of the stories. Each of the four characters is in love or on the way to falling in love. Thoughts turn quickly to marriage, even with the likes of young Jesse, all 14 years of age that he is and drawn toward the beautiful Dinah. The romance, and the early intrigue of how our first central character, Leah, goes from a warm, if impishly mischievous, party of the Amish community to a victim of suicide, is well told. Slowly, at first, things take a more sinister turn. Amish teenagers are going missing, it seems, and outside the community, the talk is of war threatening to engulf the globe. From the inside of a Bible flutters a piece of paper containing the ten commandments from the Georgia Guidestones, sometimes referred to as the Illuminati commandments. At this point, quite a tantalising tale is in prospect. Alas, the second part of the book throws too much in there. All kinds of conspiracy theories get chucked at the reader - climate change being a hoax designed to create a weapon to attack the people, government working hand in hand with the New World Order and only being kept in check by a few dedicated Christian law enforcers, Muslims being used to flood Europe and bring in Sharia laws to undermine Christianity... heck, even Princess Diana being part of a conspiracy to create the Anti-Christ from within the bloodline of the British monarchy. Yes, some of those may well offend. Much of these are detailed in lengthy speeches to the young Amish of the tale, by a rock star being used by the conspiracy, by an FBI agent trying to track down devil worshippers, a man running a shelter in a busy city. Often, the characters listen with disbelief to these speeches. Frankly, reader, so did I. And yet such outlandish tales go uncountered, indeed some of the elements begin to take place (which, I shall not say, so as not to spoil). Mind control saps at the ranks of the Amish community, except for those who can steadfastly resist thanks to their belief in God. These latter portions, to me, are where the book goes off the rails a bit. It throws too much in, and the sheer weight of conspiracy theory just seems unbelievable, and isn't delivered in a way that could encourage you to suspend your disbelief. After such a promising start, and with such an easygoing, enjoyable writing style, that's a shame. A simple tale filled with love and mystery descends into overblown dystopia, with the characters rarely at the centre of matters, but merely grist to the apocalyptic mill. It feels like we are on the sidelines of the action, following observers without impact. The writer certainly has an engaging style, and for that this book gets three stars. 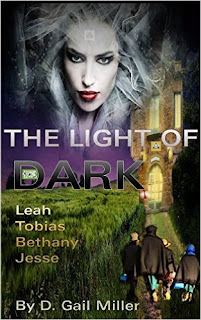 The Light of Dark is available on Amazon.